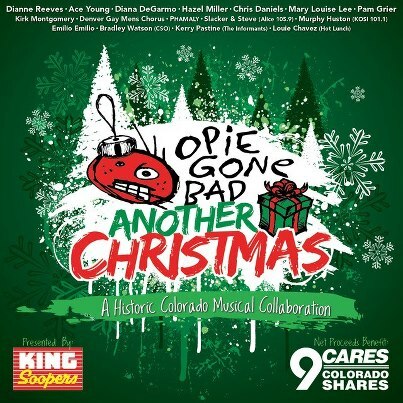 Just got a message from my pal Kirk Montgomery with a heads up that the Denver Gay Mens Chorus are a part of the new 'Opie Gone Bad Another Christmas' CD benefiting 9Cares Colorado Shares. "I invited them to sing with the big celebrity chorus on Breath of Heaven," says Montgomery, noting that the CD boasts an all-star lineup including Opie Gone Bad, Dianna Reeves, Ace Young, and many more. The 9Cares Colorado Shares Christmas CD is available at all area King Soopers stores. One for you, and one for a friend. 9Cares Colorado Shares gives hundreds of thousands of pounds of food and hundreds of thousands of dollars in cash donations to food banks across Colorado.